This smartphone is available in a titan finish and offers up to 64GB of internal storage space. This phone rolls out of the box with the Android Nougat v7.0 operating sytem preinstalled, which brings features like multi window display, ability to reply on notifications, and more. 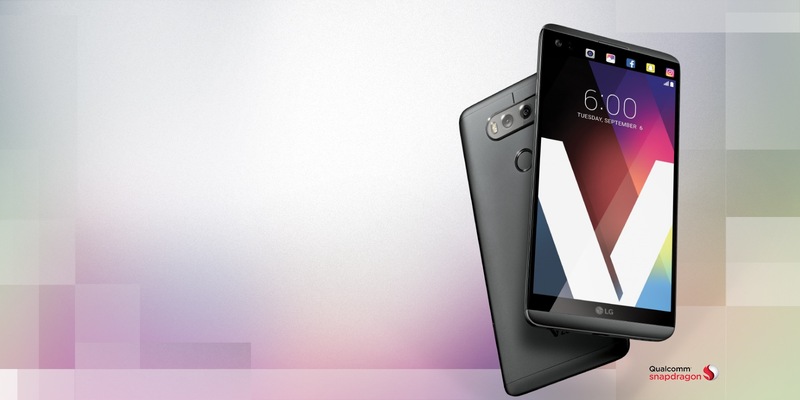 The LG V20 smartphone features a5.7inch IPS LCD capacitive touchscreen rendering a 1440 x 2560 pixels resolutions and 16M colors. It also boasts a secondary 2.1inch display to glance through notifications quickly. Giving you prettier pictures and clear videos are the dual 8MP and 16MP rear cameras, which support OIS, dual LED flash, and phase detection autofocus. Placed within this slim LG smartphone is the Qualcomm MSM8996 Snapdragon 820 chipset that houses a Quad Core processor. It delivers excellent processing power so as to let you complete tasks without any lag. Plus, you also have a 4GB RAM module that helps with multitasking between apps or tabs. What more? Well this smartphone from LG provides support for 4G LTE and WiFi, has a Type C 1.0 reversible USB connector, Fingerprint sensor, and supports Quick Charge 3.0, along with much more. 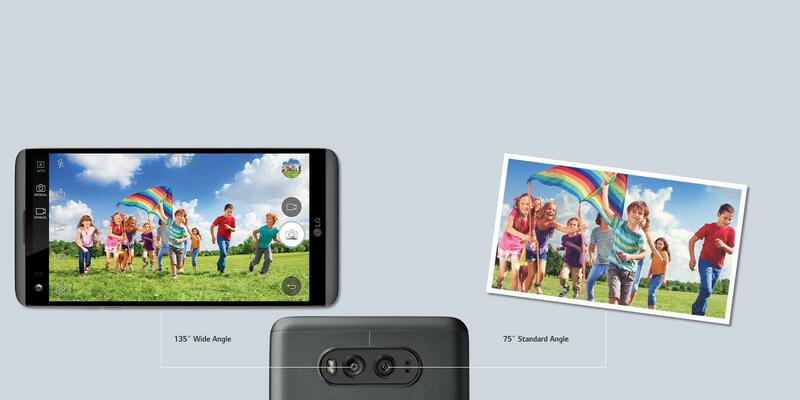 Since smartphones are a slippery bunch and considering just how many of us drop our phones, LG has crafted the V20 just like its predecessor that is MIL STD 810G certified. This V20 LG smartphone is crafted out of high grade materials that make it tough enough for you to disregard those bumper cases. It provides excellent protection from minor drops or bumps, keeping your phone safe and brand new. Regarded as Android’s sweetest release yet; Nougat v7.0 has been meticulously refined with features that are more impressive. The OS brings words to your life with new emojis along with the ability to use more than two languages at once. It provides you with multi window view, so you can go ahead and watch a movie while texting. Nougat also incorporates Vulkan API for supported devices, which delivers high performance 3D graphics with sharper effects. Plus, you have a Virtual Reality Mode that transports you to a whole new world! Smarter battery, smarter notifications, and quick settings make the Android Nougat v7.0 operating system one of the best yet. Adding to the list of already impressive features is LG’s UX 5.0 UI that includes enhanced support for many features on the Android platform and an innovative user experience that reflects the need for every user. 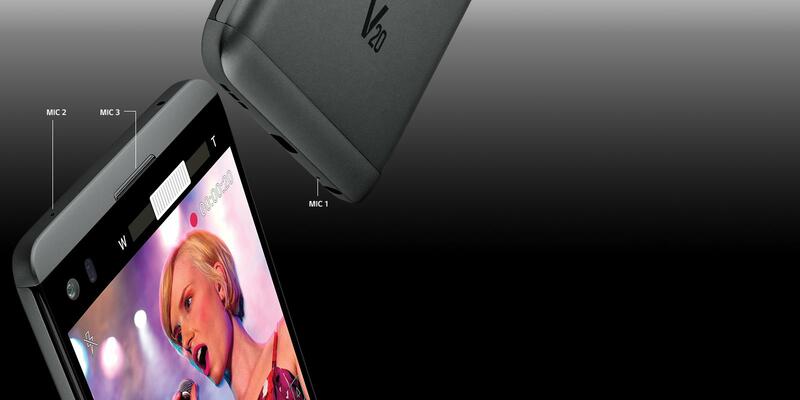 The V20 LG mobile phone is equipped with dual rear cameras namely an 8MP FOV (135°) 16MP. The camera supports Steady Record 2.0 that allows you to snap smooth videos without any blur that might occur during unintentional hand shaking. This smartphone has wide angle lenses equipped with both the 5MP FOV (120°) front and dual rear cameras to give you three times more room to fit more of the scene at once. Plus, with Auto Shot, capturing selfies is a breeze! Apart from allowing you to capture stunning pictures, this smartphone equips Hi Fi Quad DAC Audio technology that delivers the highest quality sound with a wider dynamic range. MIL STD 810G? is series of tests designed by the U.S military to test its equipment limits in various conditions where it is expected to be used (environment) or transported (shocks). The test vary according to the nature, size and weight of the equipment tested. The tailoring process described in this standard (i.e.,systematically considering detrimental effects that various environmental factors may have on a specific material system throughout its service life) applies throughout the material acquisition cycle to all material developed for military or commercial applications. 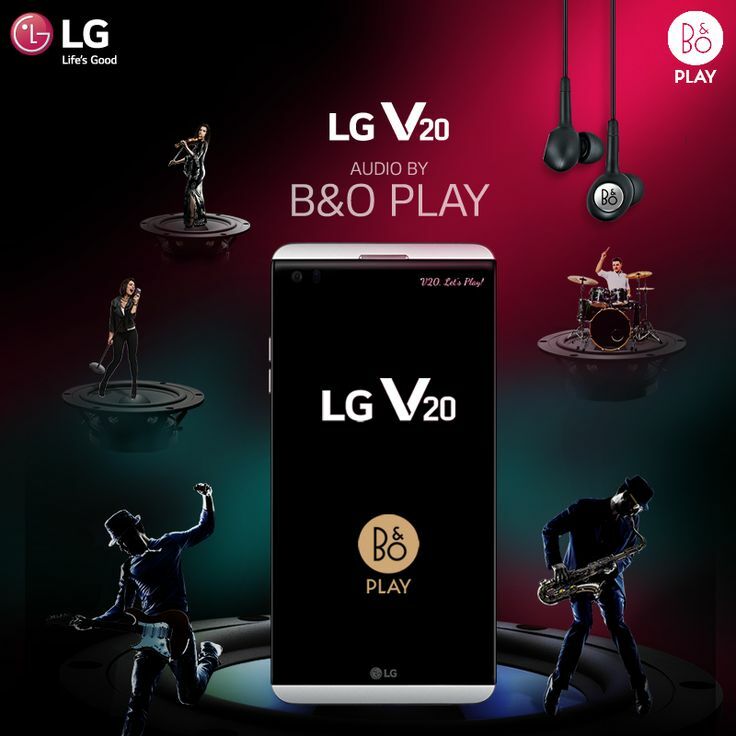 This LG V20, the smartphone with B&O play! It will surely change the way you listen to music with its unparalleled audio experience. Order the LG V20 64GB and have it delivered to your doorstep within 1-3 working days or same-day delivery within Nairobi. Pay on delivery.